Absolutely thrilled how this project has turned out! It’s probably the most adventurous remodels we’ve ever undertaken on an incredibly challenging site. 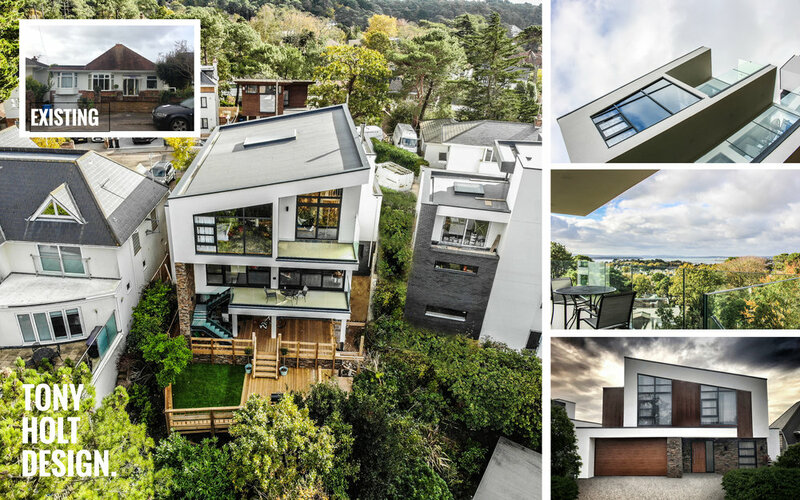 The Client had the energy and ambition to take on this difficult challenge and has transformed the existing 1,500ft² bungalow into a 3,500ft² contemporary luxury residence. The remodelled property was redesigned to take advantage of the incredible view on offer over Poole Harbour. When we took on this project we all knew the site, the brief and the budget was going to test everybody, not least the Client. It’s safe to say that all things considered it’s been an absolute success!